When I was younger, I always dreamed of having an apartment in Chicago, and my sophomore year in college, that dream finally became a reality. I have lived in my apartment for almost two years now, and it seems as though I have been living here forever. 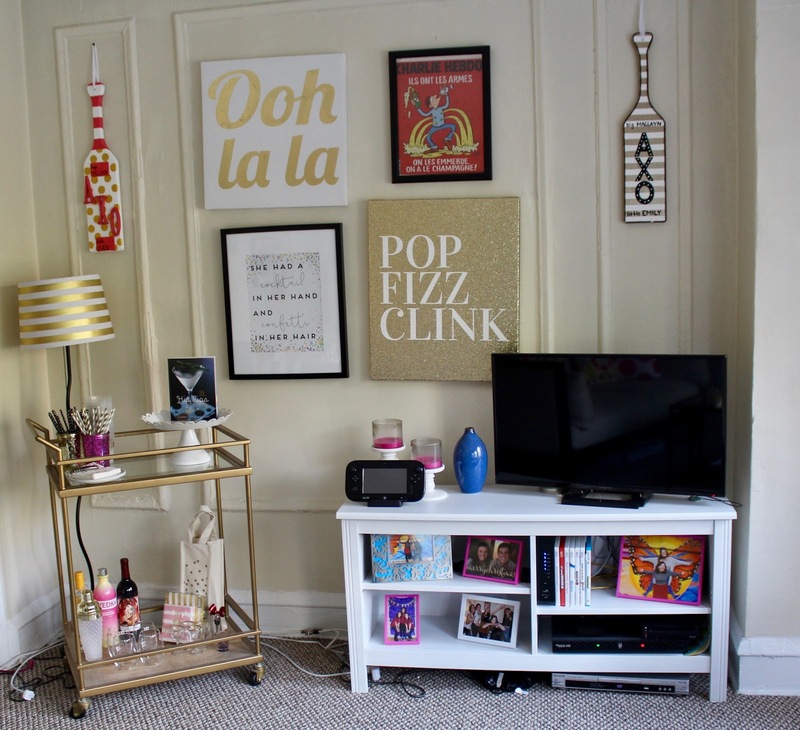 When I started collecting items for my apartment my freshman year, I knew that I wanted it to be bright and fun, and similar to a Kate Spade store. 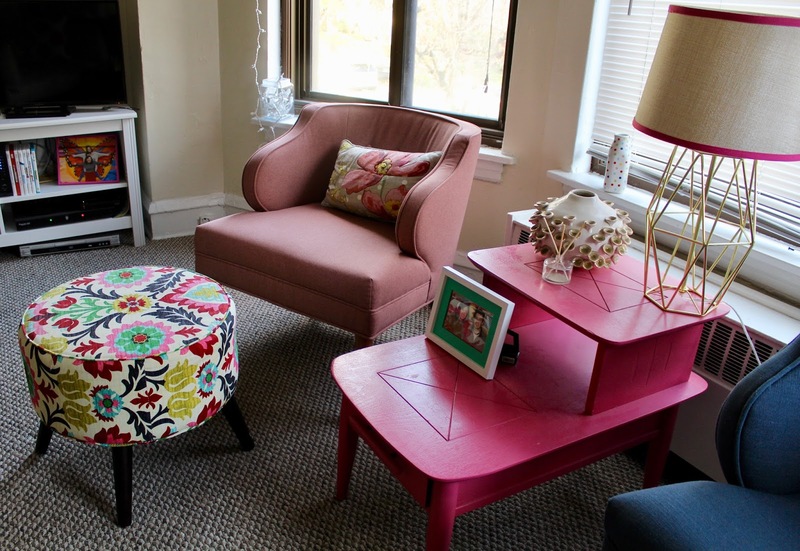 I would buy little things at a time, and eventually when I moved in, everything came together so perfectly. I am extremely fortunate to live in such beautiful apartment in such a beautiful building. Here’s my desk. I love doing homework and planning my week here. 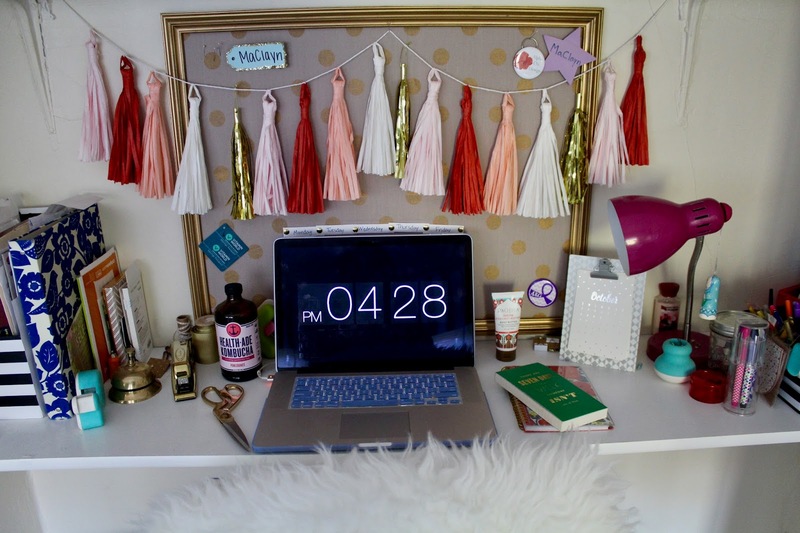 It is such a fun space, thanks to this awesome pin-board from HomeGoods and this tassel garland from Target. 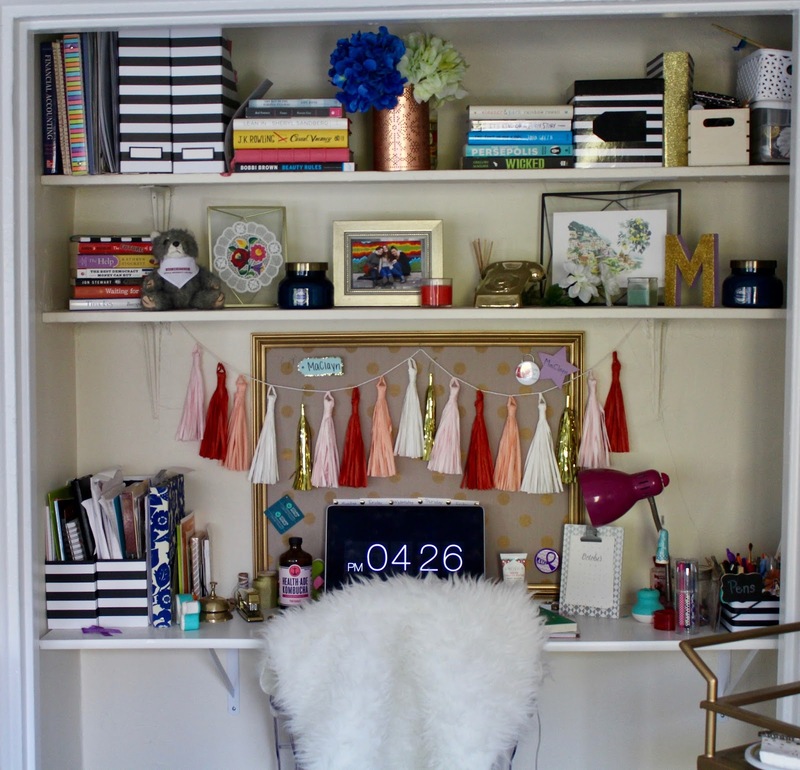 My desk was originally a closet, but my father suggested putting a white board in it instead and turning it into a desk. The upper shelves were already there, so it worked out so perfectly that it seems as though that was it’s intended purpose for that space all along. 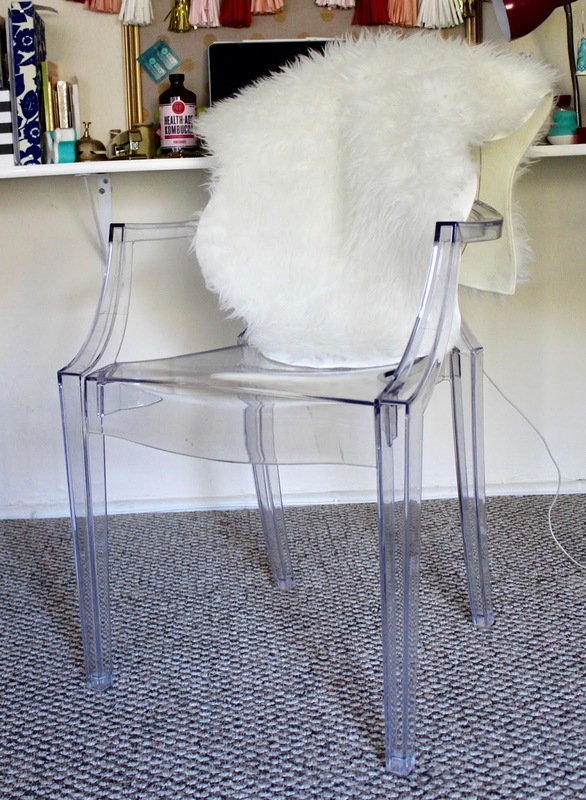 This ghost chair from Ross was an incredible find, and is a great since it does not interrupt the space in a way that would separate the desk from the rest of the room. 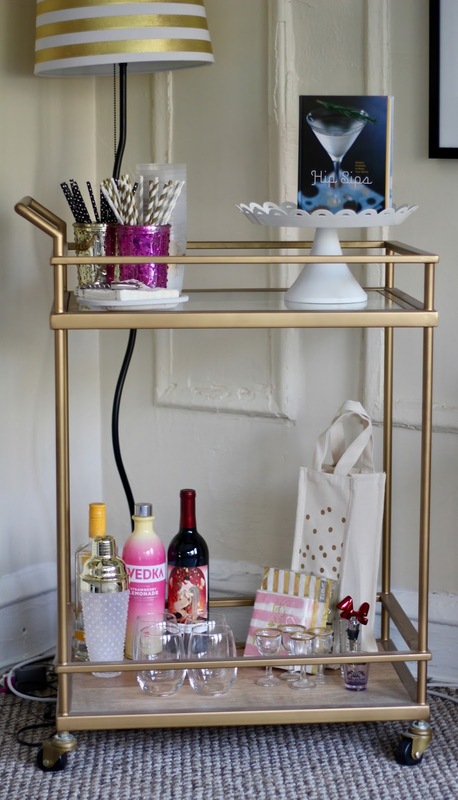 I love my bar cart. It is such a fun thing to have when I am entertaining. I always have straws, ice, and glasses out for guests. I also usually put some cookies out on the cake tray as well. 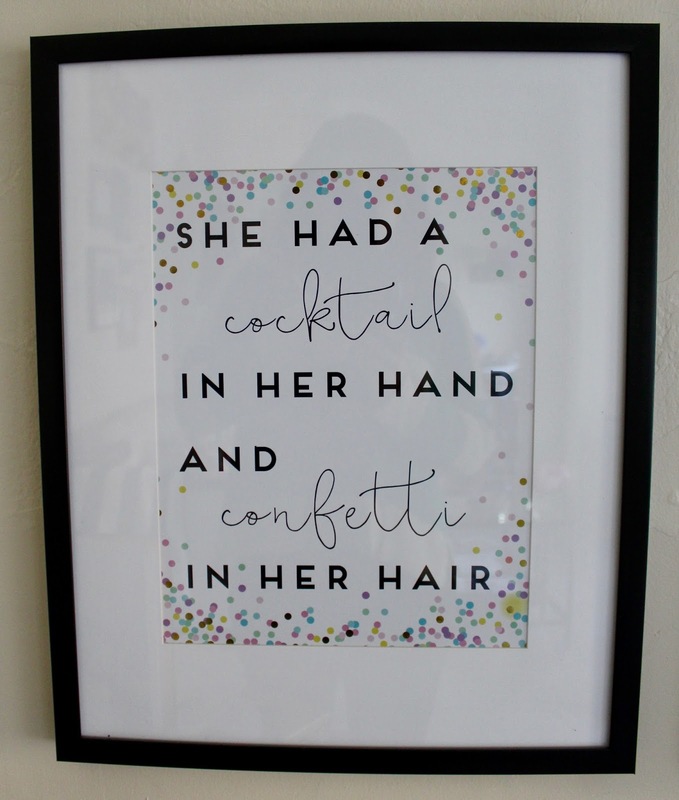 I chose the artwork on this wall not only because it matched with my apartments theme, but they also are perfect sayings to have next to my bar cart. 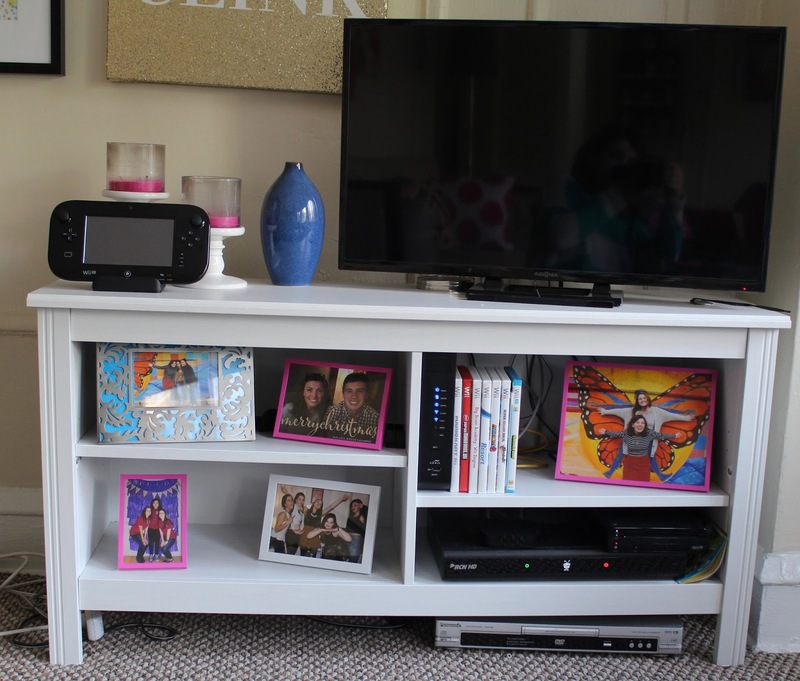 This is my entertainment center where I have photos with friends and my brother. I also have a Wii U which is a lot of fun with friends. 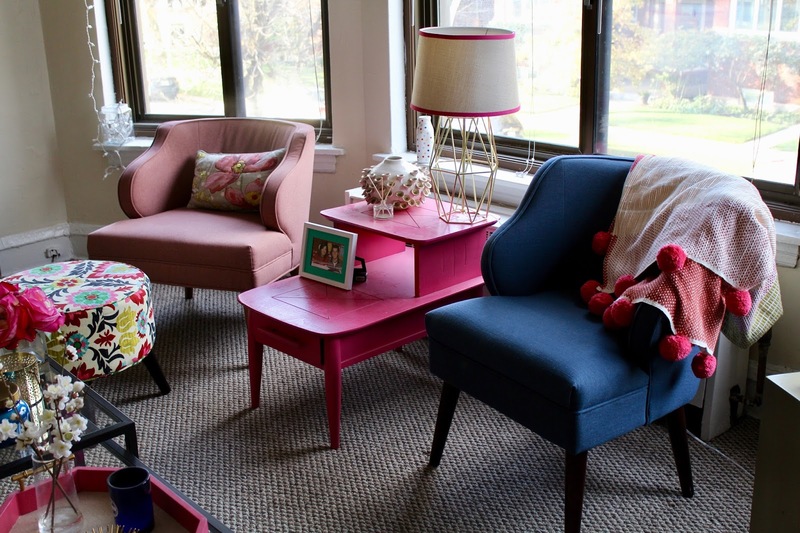 This pink table was actually an old bedside table of my parents’. My dad spray painted it pink and I am so happy with how it turned out. I got this chair from my mother for my birthday, and it is so comfortable! 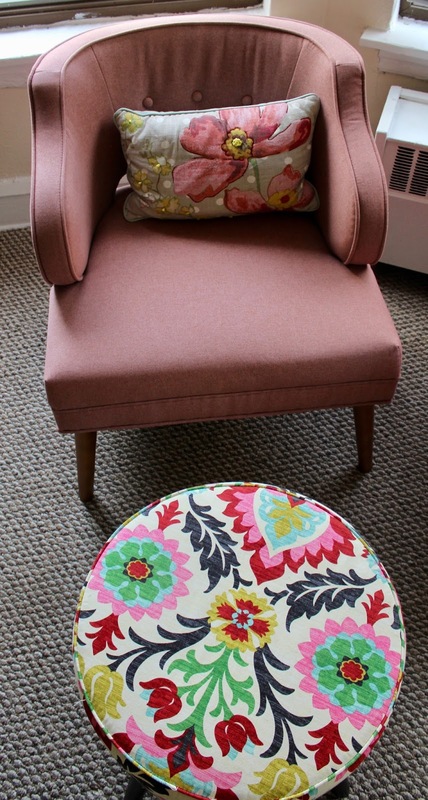 It goes well next to this ottoman from Target. 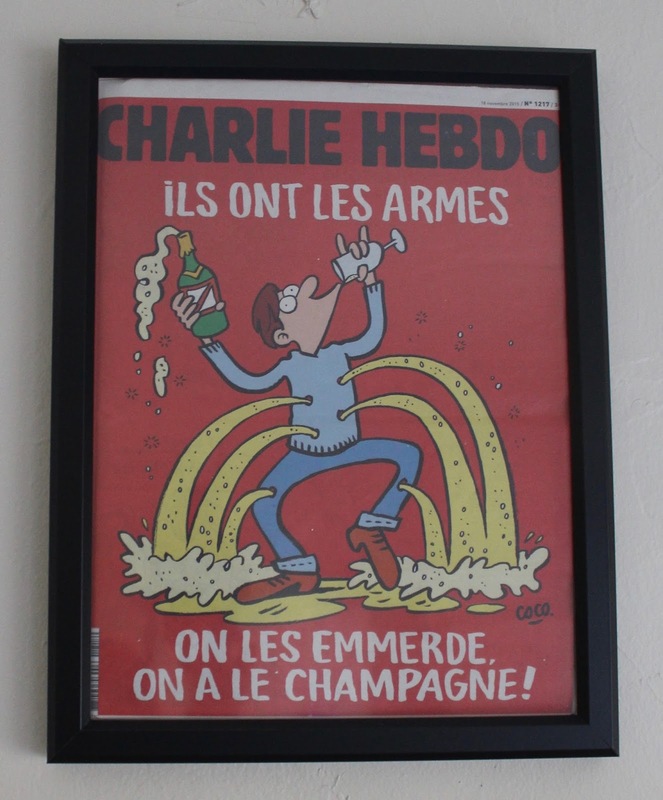 This is another recent purchase. 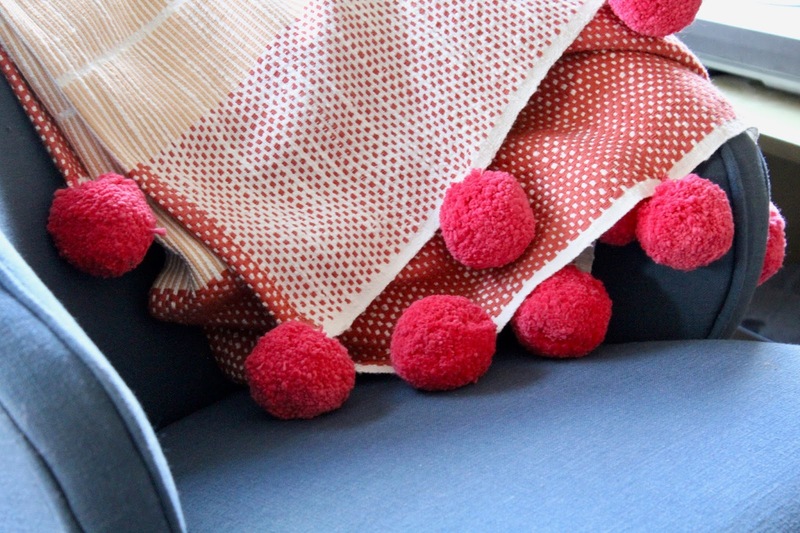 I got this adorable blanket from Anthropologie on sale, and I absolutely love the pom poms on this guy! 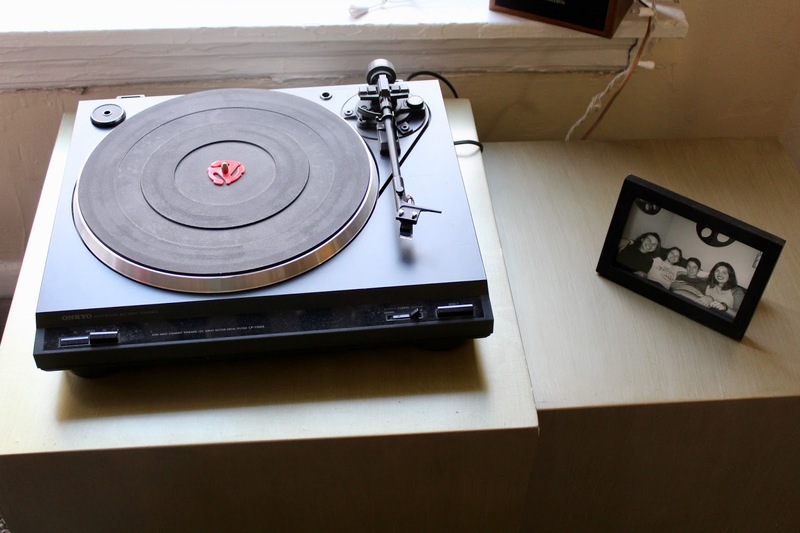 I was super lucky to get my dad’s old turntable. It is great to be able to wake up and put on a record while eating breakfast. Next to it, is a picture of me and my best friends from high school. 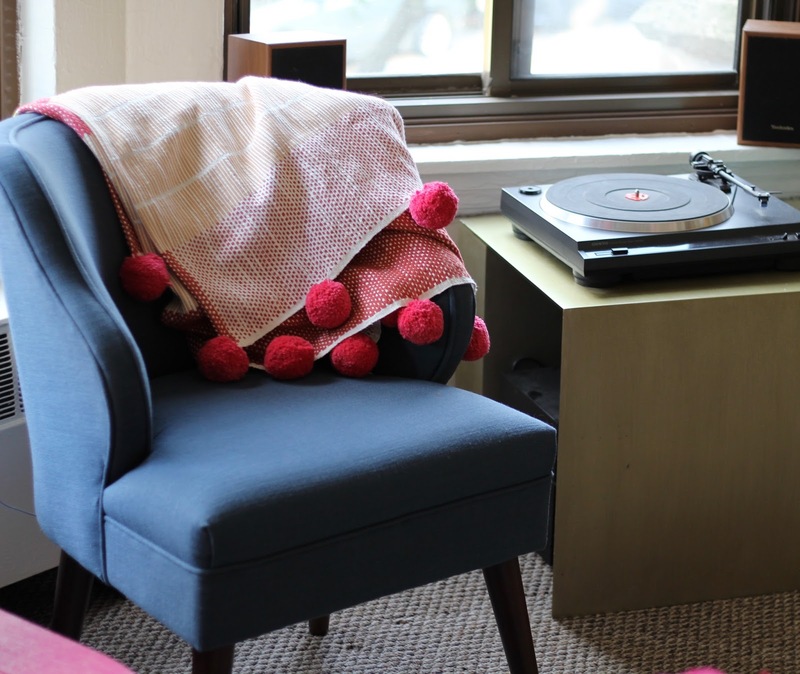 These tables are perfect to hide and store all my records and speakers. 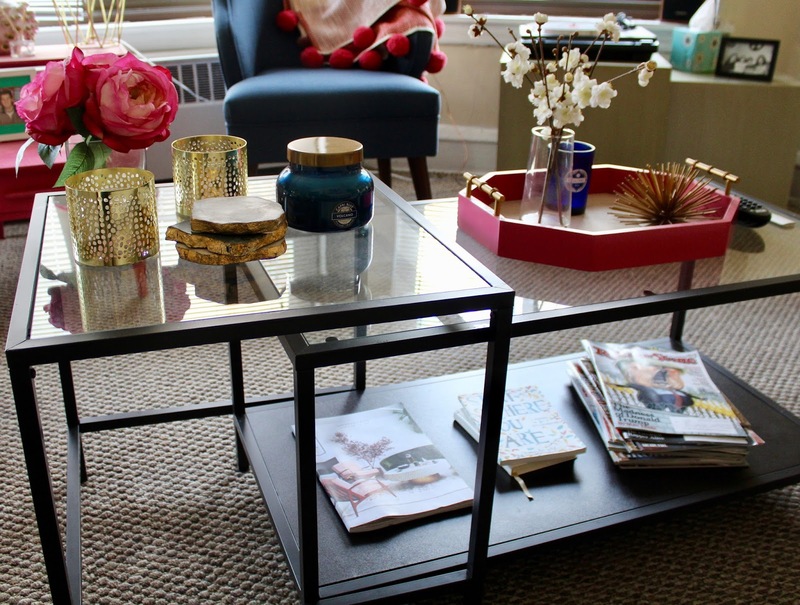 I am sure you have seen this coffee table on hundreds of your pins on Pinterest. On it, I have these amazing gold trimmed coasters from my friend, my favorite candle, and all of my copies of Rolling Stone. This is the place that I spend most of my time in my apartment. My daybed, from my uncle, is so comfortable and such a pretty piece of furniture. 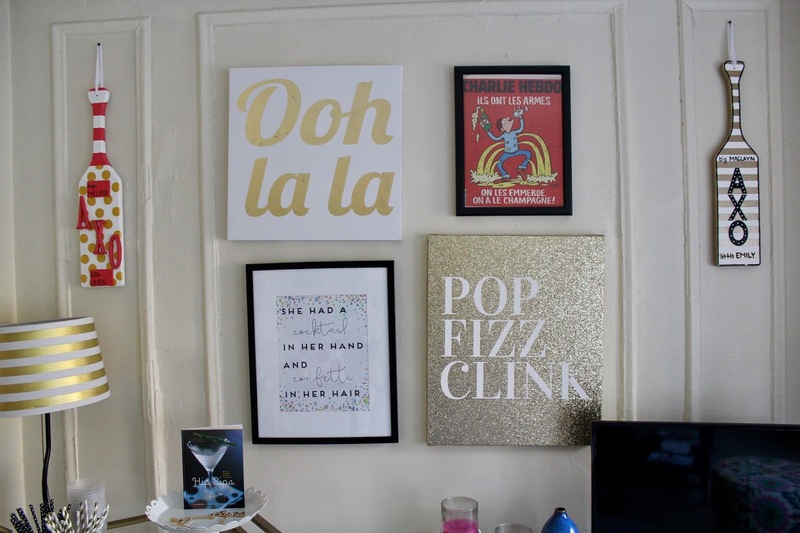 Also when I started to think about how I would decorate my first apartment, I always knew I wanted a gallery wall. I am so happy that this one turned out so great! Does the left pillow look familiar? 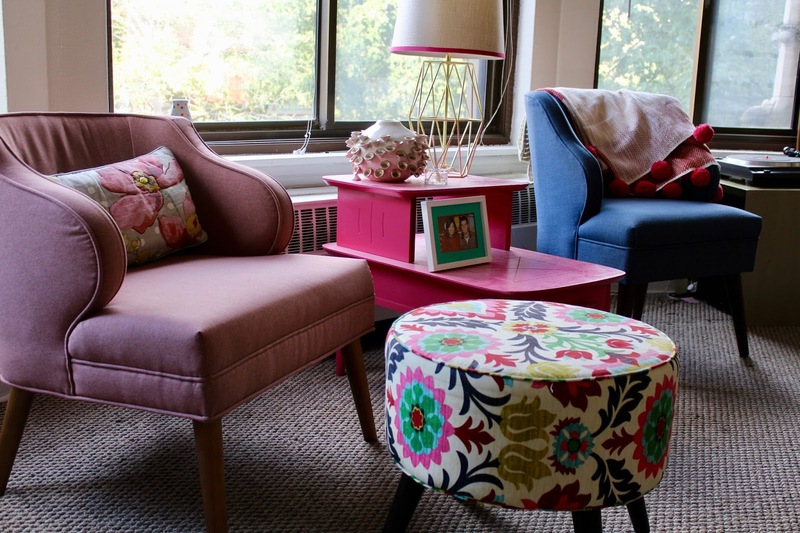 That’s because its the same print as my ottoman! 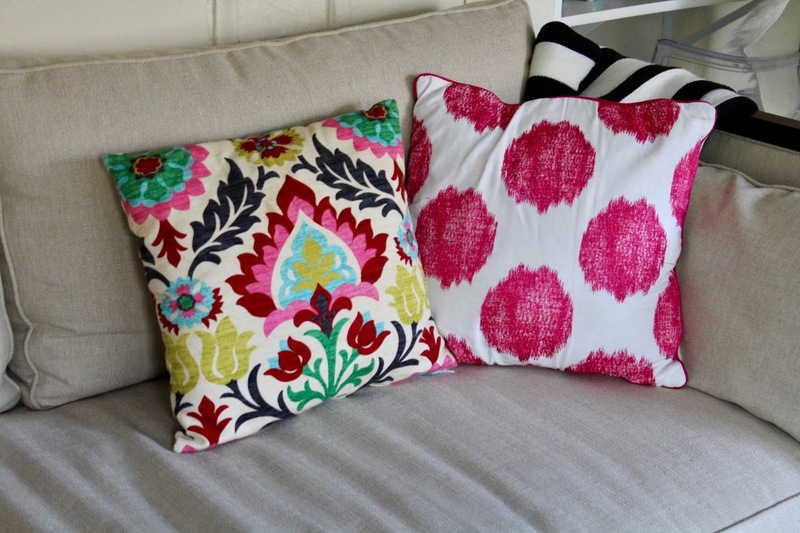 I found the pillowcases scrolling on Pinterest one night, and I knew it was meant to be! If the first two paddles was not enough of an indication, it is fairly obvious to you by know that I am in a sorority. 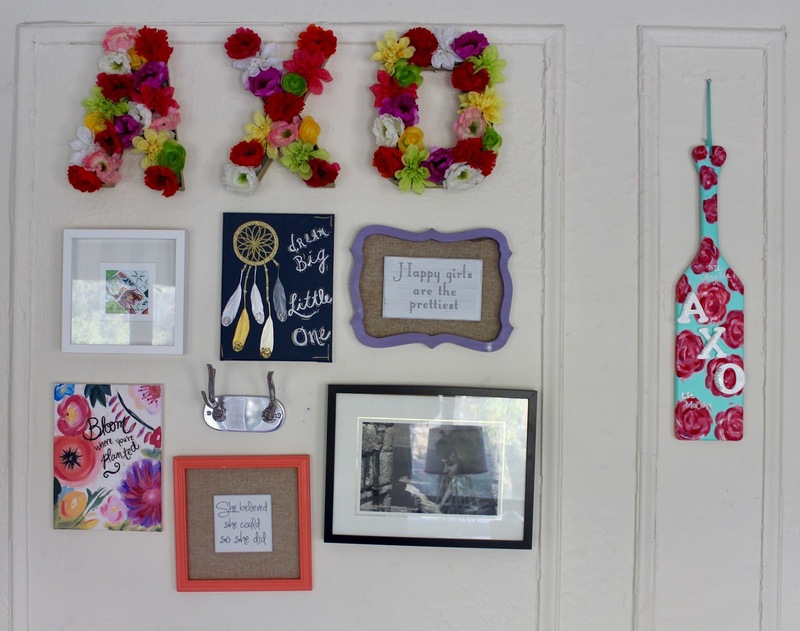 My Big not only made me the paddle on this wall, but also the floral letters, the “Bloom where you’re planted” canvas, and the “Dream big little one” canvas. (Thanks Angelica!) I also have artwork from Francesca’s and different cities that I traveled to while I was abroad. 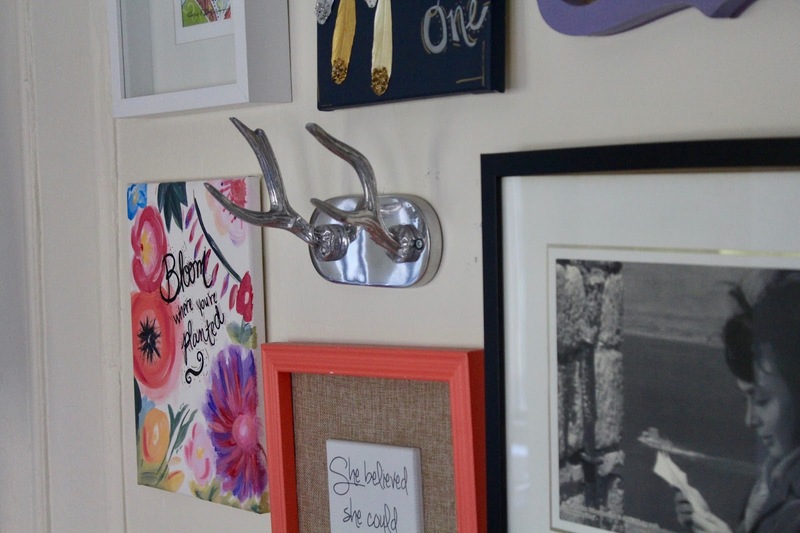 I got these antlers from a home decor boutique in Paris. I put them on this wall to give the gallery more dimension. I hope you have had fun looking at my home! I will be posting pictures of my kitchen and bedroom in posts to come, so make sure to bookmark my blog or follow me on Instagram! Hello! Welcome to Style & Composition! I am currently an accountant living in Philadelphia, PA. Welcome to my lifestyle and fashion blog!